Thank you for your interest in beekeeping. 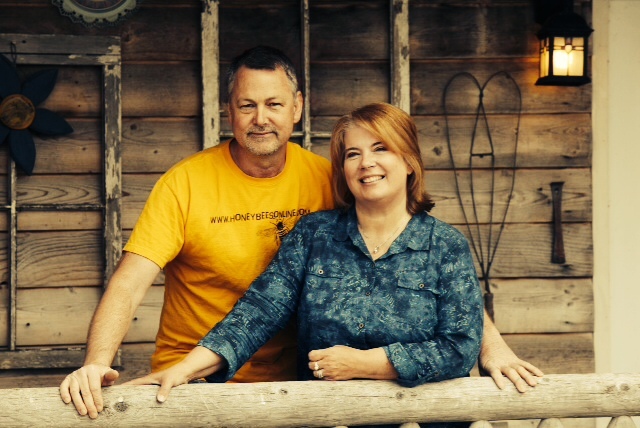 We are David and Sheri Burns and we operate a beekeeping business in east central Illinois. As a family business we believe we can give you the personal touch you need to become a successful beekeeper. We started beekeeping in 1994 and began building beekeeping equipment in 2005. We live down a long lane, and thus was born Long Lane Honey Bee Farms. Beekeeping is our love and passion and livelihood. We enjoy helping others get started in beekeeping. David began beekeeping in 1994 after hiving a swarm from a fallen tree. After moving those hives from Ohio to Illinois, the hives were lost due to mites, and the yard had to be started all over again. In the beginning the Burns family just sold honey, but as time went on and the yard became bigger, the Burns family began building their own hives and selling them to other beekeepers. Knowing that the success of beekeepers was all dependent upon education, David began blogging and uploading videos to YouTube. In order to make sure beekeepers had the best and latest of scientific information on bees and beekeeping, David took several years to become a Certified Master Beekeeper. 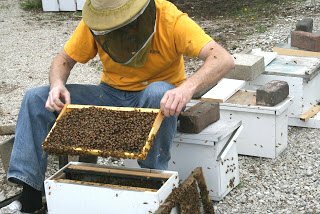 A graduate of Lincoln Christian University, and now a Master Beekeeper through the Eastern Apicultural Society since 2010, workshops on beekeeping are taught all year at the Training Center in Fairmount, IL. He also has a mentorship program, talks throughout the country at beekeeping association meetings, and heard frequently on radio shows and podcasts. He is also a competitive sportsman and competes throughout the US. Sheri is a former teacher who joined the business in 2008. A graduate of Lincoln Christian University with a degree in business management, she does just that - manages the business and customer service and can often be heard on podcasts with David. While she has staff in the office that helps her, she often prefers to talk to customers on the phone herself to make sure they get exactly the help that they need. In her spare time, Sheri raises and teaches their one child still at home, takes care of chickens and gardens, sings in a community choir, and likes nothing better than to hang out with her grandchildren or read a book. She dreams of retiring out west in St. George, Utah with David. Buy your bees and equipment before every one beats you to it. We know you can run off to a big box store to buy your beekeeping supplies, but we are a small, American hard working family that would appreciate your business. Thank you for your support. We support our customers with expert advice, not myths and opinions. Some beekeepers and clubs are private and keep information close to their chest. You've probably met beekeepers who will not help you. We are here to help and as you can see throughout our site, videos and podcast, we freely share information that will help you become a better beekeeper. We hope you'll show your appreciation by purchasing your equipment from us which enables us to stay in business. Thank you. We have become known for our amazing beekeeping courses and our really fun and highly informative online beekeeping courses. We introduce thousands of new beekeepers to beekeeping each year through our thorough, yet simple to understand beekeeping lessons which are available online and in person at our training center. Our videos are helping beekeepers around the world. Our beekeeping videos have passed 3 Million views on YouTube. Check out our videos. Our goal is to provide the best urban and basic rural beekeeping materials possible at an affordable price. We manufacture all hive components and ship to all 50 states. When you purchase from us, not only does it allow us to live out our dream of making a living from beekeeping, but it allows us to continue to work hard at helping more and more people start beekeeping. We need more backyard beekeepers to help save the honey bee. David is a certified Master Beekeeper of the Eastern Apicultural Society of North America. Beginning beekeepers call us from around the country asking for advice and opinions. It is such a joy for us to see more and more people become involved as beekeepers! We LOVE to talk to our customers in real time! You can place an order online 24/7 or call us to place an order or make changes to orders. NOTE: Store hours in Fairmount IL may be different than customer service hours, so please call ahead to check store hours and product availability.